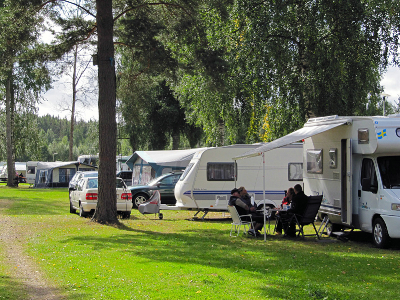 Otterbergets Bad och Camping is a family camping, surrounded by nature. 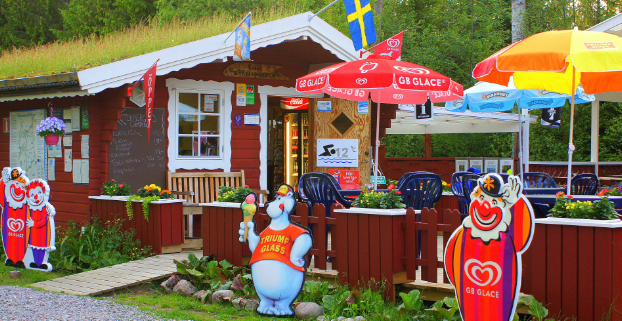 If you follow the wood path for 150 meters you will discover a beautiful child friendly sandy beach with magnificent views of the Skagern lake, stretching for 1 km. Culture and nature lovers can enjoy themselves to their heart’s content. 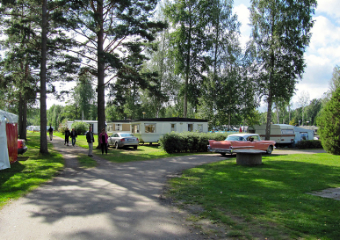 From our camping site it is also possible to launch your own boat from - one of the few - boat launches at the Skagern lake, which is rich in fish. 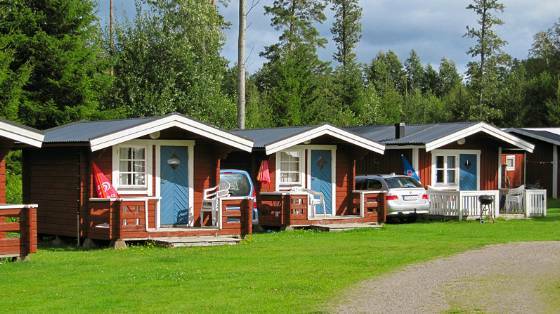 Otterbergets Bad & Camping has ten cottages of various sizes. They are basic, but tidy and equipped with basic accommodation. Each cottage has an electric heater, a coffee machine, electric kettle, basic cooking and eating utensils, cutlery and tableware and also single duvets and pillows. Also each stuga has an outdoor table and chairs. 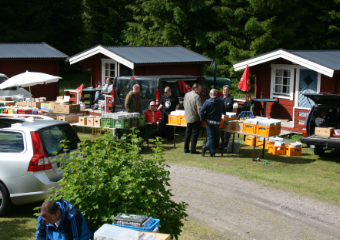 You have to provide your own bed linen (sheets, duvet covers and pillowcases) or you can rent these from the camping site. 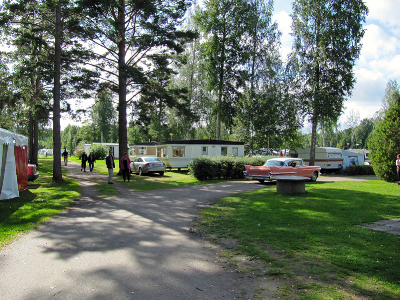 The size of the camping site is about three hectares. 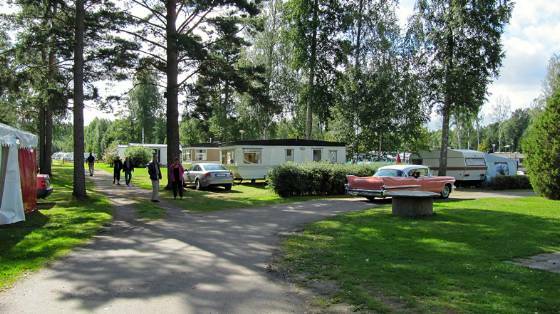 Most of the pitches for caravans and campers have electricity. The camp site is a grass field. Pitches for tents on a separate field. 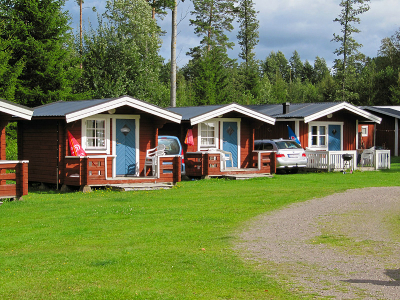 Otterbergets Bad & Camping has cottages of various sizes. They are basic, but tidy and equipped with basic amenities. They are equipped with duvets and pillows. Also each cottage has outdoor furniture. 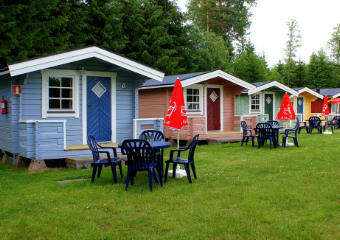 We also offer four comfortable caravans with patio and seating area. 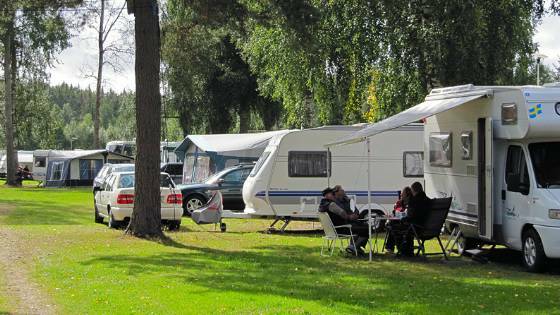 All caravans have a fully equipped kitchen and shower, toilet, electric heaters and a television. Single duvets and pillows are also present. 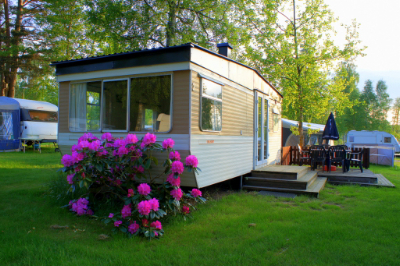 Furthermore we have two fully equipped caravans with an awning, suitable for four.